As compiled by the fine folks over at BenefitsLink. Newest publications are first.
" Repeal of performance-based compensation exception to $1,000,000 deduction limit ... Excessive compensation of non-profit covered employees subject to a 21% tax penalty ...  Limits and phase-out on deduction for employer-operated eating facilities ... 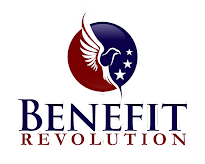 Elimination of employer deduction for certain transportation fringe benefits ... Suspension of income exclusion for qualified bicycle commuting reimbursement fringe benefit ... Suspension of income exclusion and employer deduction for qualified moving expense reimbursement ...  Extension of rollover period for plan loan offsets ... Employer credit for paid family and medical leave." "[A] new 'Qualified Equity Grant' ... to allow employees of nonpublicly traded companies to elect to defer taxation of stock options and restricted stock units (RSUs) for up to five years after the exercise of such stock options or the vesting of RSUs.... Repeal of 'recharacterization' of Roth IRA conversions ... Extended rollover periods for deemed distributions of retirement plan loans ... Tax relief for retirement plan distributions to relieve 2016 major disasters ... New credit for paid family and medical leave." 27 pages. "The Conference Report confirms that compensation paid pursuant to a plan qualifies for the exception under the transition rule, but only if the right to participate in the plan is part of a written binding contract with the covered employee in effect on November 2, 2017.... Additional questions may arise regarding plans or agreements that may be terminated prospectively and what portion of the deferred compensation accrued under the plan or agreement after the effective date is grandfathered.... The new Section 4960 21% excise tax would add a significant financial and administrative burden on tax-exempt organizations with highly compensated employees." "As many of us have speculated about what insurers will do regarding future exchange participation, Jeff Young from the Huffington Post actually called a bunch of them. None have said they were running straight for the exits, but many sound very cautious about the 'big mess' ahead sans mandate." "Section 13403 of the Act offers businesses a tax credit if they offer up to 12 weeks of paid family leave to certain eligible workers. Eligible employers must have a written policy that provides not less than two weeks of annual paid family and medical leave for full-time employees, and a pro-rata amount provided at the same ratio for part-time employees. The policy must provide payment at a rate not less than 50 percent of the wages normally paid to employees on leave." "Incentives for companies to offer their workers paid leave, in addition to prohibiting deductions related to confidential settlements related to sexual misconduct, are part of the final version of a Republican tax reform bill ... That includes offering businesses a credit for offering up to 12 weeks of paid family leave. The measure, plucked from a stand-alone bill (S. 344) by Sen. Deb Fischer (R-Neb. ), also includes incentives for offering medical leave." " Individual mandate repeal included ...  Medical expense deduction expansion ...  Orphan drug tax credit reduction ... Private activity bonds preserved."